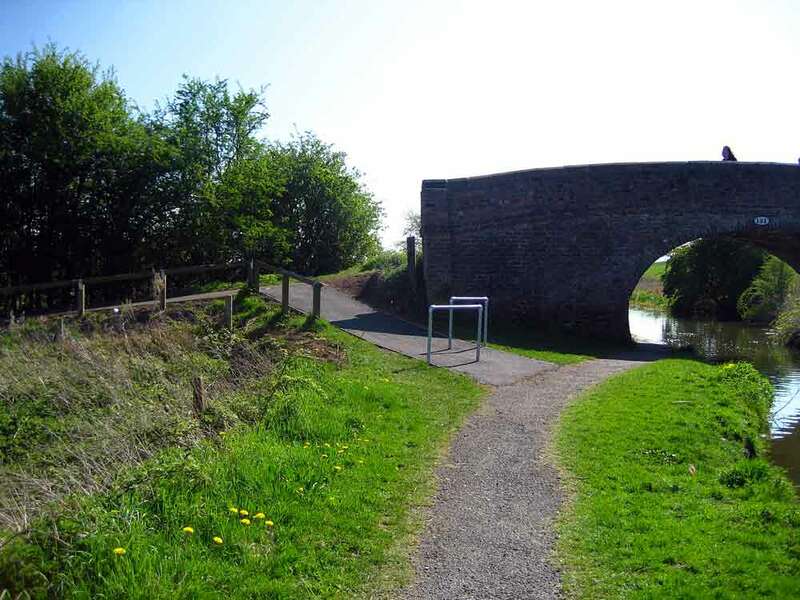 The Chester Cycling Campaign is working with the local police in order and try to reduce the incidence of bike thefts in Chester, both from the home and in public places. We support the following initiatives and encourage all local cycle owners to register their bikes with Immobilise, the UK National Property Register. The police have launched a bike registration form which is available to the public. In essence it is a record of all the details of your bike. These include the make, model, serial number and a digital image of the bike. Then, should the worst happen and your bike is stolen, the police will have all the relevant details when you report the theft. The reasoning behind this is that the police often recover stolen bikes but struggle to reunite them with their owner due to an inability to identify and locate them. Another aspect of this initiative is to provide details which confirm that a particular bike has been stolen to enable the police to pursue a prosecution for theft, burglary, or handling stolen goods. Without these details, the police cannot be certain that a bike found in the possession of suspected offenders is actually stolen. Cheshire Police have been working closely with the National Mobile Property Register (NMPR) and also with participating cycle retailers in the Chester area. Retailers are now able to register with the NMPR all new bikes at the first point of sale. New bikes can also be labelled with NMPR labels. In addition, all bikes (and all property with a unique number) can be registered with the NMPR by anyone. The easiest way to do this is using the Immobilise website. Chester West and Chester council have been improving the facilities within the city to secure bikes and this has seen a reduction in the amount stolen. However, the majority of bikes are stolen from the home, not when out and about. Local police routinely take crime reports of £500 mountain bikes stolen from within garden sheds secured by nothing more than a £5 padlock on a rusty stable latch. Ideally keep the bike inside a brick structure. If this is not possible and bikes must be kept in a shed, then make it as difficult as possible for a burglar to remove the bike. This includes doing as many of the following as possible. 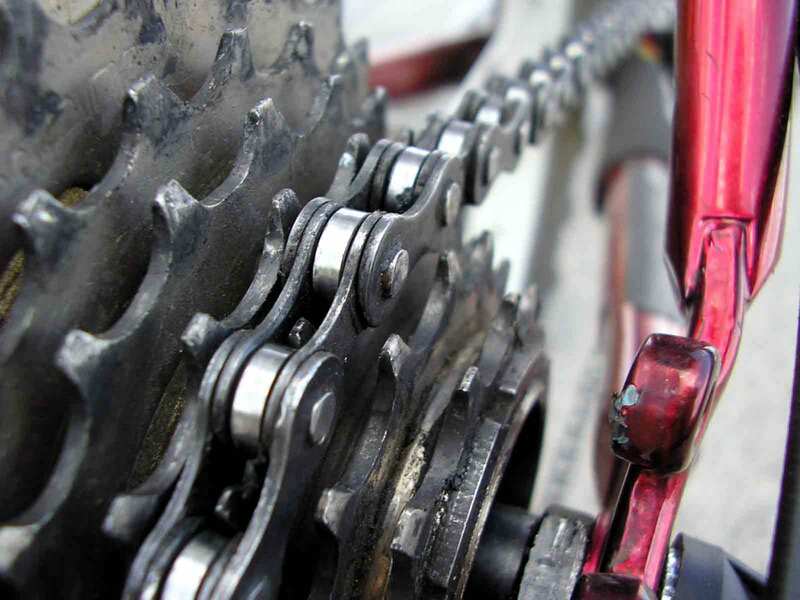 All the above might seem like a lot of trouble, but about 60% of all bikes stolen in 2012 were taken from the home, mostly by breaking into sheds. For more information on cycle theft prevention, please visit the Cheshire Constabulary website. Cheshire Police are working in partnership with participating bike retailers in order to actively tackle the problem of cycle crime in and around the Chester area. Everyone buying a bike from one of these retailers is being offered a free home visit from the local police in order that specific, targeted advice can be given to the new bike owner regarding bike security around the home. The retailers taking part in the initiative are: The Bike Factory, The Edge Cycleworks, Specialised Concept Store, Halfords, Dave Miller Cycles and Sixty Nine Cycles. Information / event notifications for future bike events and advice. If you wish to take advantage of this free service when purchasing a bike, then please let the retailer know that you consent for your details to be passed to the police, who will contact you in due course. It is also possible to take advantage of the scheme if you already own a bike. The Chester Cycling Campaign is acting as a link with the relevant police team, and are able to put you in touch with them. 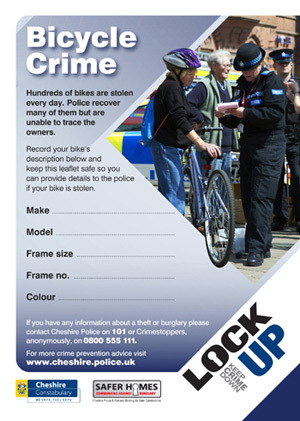 If you would like to join the scheme and receive a visit from the police to have an assessment of your bike security, then please use the form below to contact the Campaign. We will do the rest. Please ensure that you supply your name, and email address and/or phone number so that contact can be made with you! You can also join the scheme without necessarily having a home visit from the police bike security team. Please specify if you simply want to register your bike without such a visit. Check out these articles and advice leaflets for more information about the prevention of bike theft.